Eleanor and Clyde (whose unsubtle attempt to appear taller by standing on … something … is unconvincing and a little ridiculous). Such a babyface. In a few short years, his name and face would be splashed across the country’s newspapers as Bonnie and Clyde’s violent killing spree made him and Bonnie Parker outlaw celebrities. He looks a lot younger than 17 here. Photographs from University of Texas at San Antonio Libraries Special Collections, Copy and Reuse Restrictions Apply. Photos loaned to UTSA by Henry J. Williams, nephew of Eleanor B. Williams. All photos have “1926” on the back. 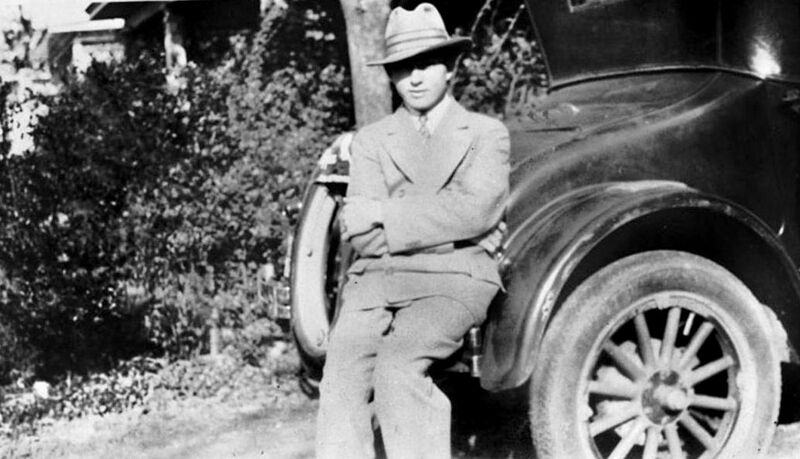 The Handbook of Texas entry for Clyde Barrow (1909-1934) is here. Additional photos of Eleanor Williams can be seen on the Bonnie and Clyde “Texas Hideout” site here.